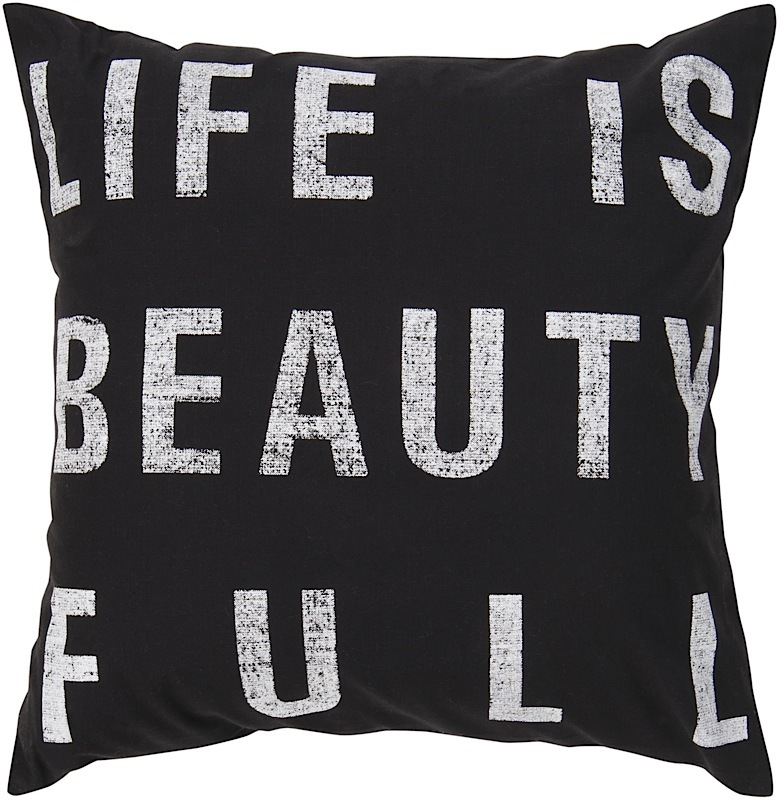 Make a statement in your home. 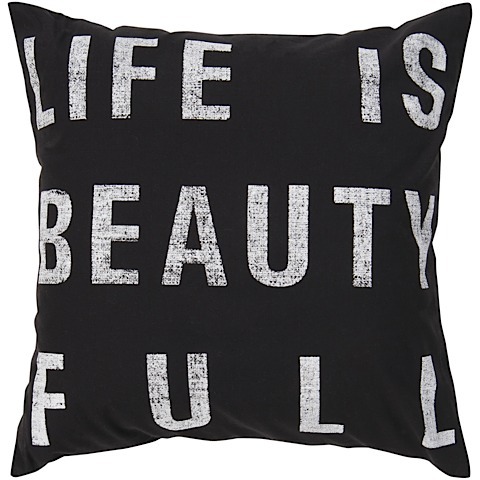 The Beautiful Life II Pillow boasts a coal black background with clean white print: Life is Beauty Full. Cover is made from 100% Cotton. Available with your choice of Down or polyfiber-filled insert.